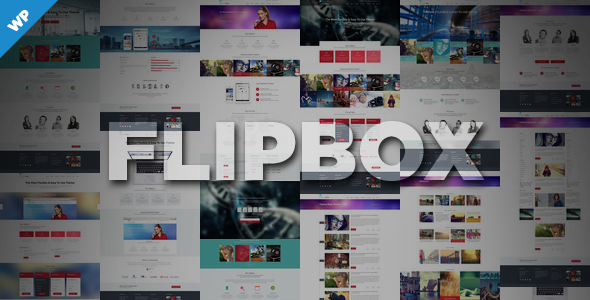 FlipBox is a multi purpose theme beautifully crafted to offer unlimited options with tons of features. Developed with WP_DEBUG, Debogger enabled. Theme Options Panel by ReduxFramework. This entry was posted in business, corporate, wordpress and tagged business, contact form, corporate, functions, mega menu, modern, multi-purpose by Acty. Bookmark the permalink.